May is the month to . . .
What’s In That Compost? Gardeners Be Aware! Consider making plans to visit the Coastal Botanical Garden. Free admission for Maine residents on Memorial Day weekend, May 25-27, 2013. Put some thought into planning your home vegetable garden. Garden planning is fun, and the time spent planning pays off. Watch and prepare for frosts by monitoring the weather reports and forecasts. Protect sensitive crops with covers. Wait to set out tomato, pepper, and eggplant transplants until the threat of frost has passed. Learn about mulch and using colored plastic mulches in your vegetable garden. For more information, see Mulch: Using Colored Plastic Mulches in the Vegetable Garden (PDF) from UMass Extension. Freshen mulch in perennial beds. Edge the turf as needed. For mulch selection, see Mulches from University of Rhode Island Extension. If you have not already done so, evaluate your lawn to determine its needs for the growing season. Rake dead grass and leaves from the turf. Fill in holes and level heaves and damage done by snowplows. Consider having your soil tested for lawns, fields, and gardens. A soil test is the only way to accurately determine nutrient levels, pH, and organic matter percentage. If you guess what you soil needs, you are gardening by the “seat of your pants” and are likely wasting time, money, and nutrients. Following a $15 soil test, results can save lots down the road and help make this growing season productive. Consider adding a rain garden to your landscape. For more information, see Bulletin #2702, Landscapes for Maine: Adding a Rain Garden to Your Landscape. 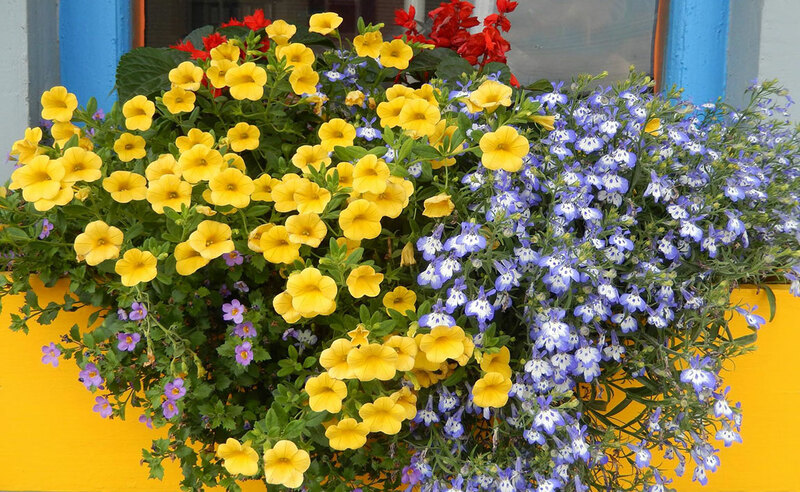 Visit your local garden center to view new products and plants. Early this month, remove any mulch you placed over small fruit plants as winter protection. 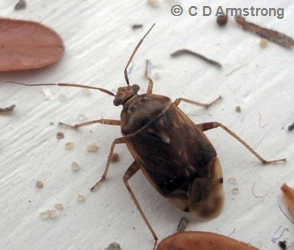 Scout your berry plants for insects that feed on flowers and developing fruit, such as tarnished plant bug. Protect blueberries from mummy berry disease by spraying appropriate fungicide before bloom and/or applying 2 inches of mulch under plants to bury overwintering “mummies” that will shoot fungal spores that infect new growth. Protect berry blossoms from frost. Cover plants with fabric or mulch on evenings when frost is predicted. Fertilize raspberries and blueberries. Apply about 2 lbs. actual nitrogen (N); phosphate (P2O5); and potash (K2O) per 1000 square feet (or 500 feet of row), e.g. 20 lbs. of 10-10-10. For organic substitutes use compost or rock powders. Learn about woodchucks and their life cycle as your strategize to keep them out of your garden this summer. For more information, see Woodchuck — Marmota monax from maine.gov. As a gardener, you’ve probably observed many bees in your landscape. In Maine we see European honey bees, which are kept by farmers and backyard gardeners, and more than 250 species of native bees such as bumble bees and solitary bees. Some native bees are as small as the width of your pinky fingernail! Except for honey bees, most bees do not sting; they are so intent on their work that they hardly notice a gardener’s presence. Bees are in trouble in many parts of the world due to loss of habitat, pests, disease, and vulnerability to chemicals. Without bees, we would have poor harvests of blueberries, squashes, apples, cucumbers, cranberries, melons, and many other crops. Colony Collapse Disorder, a complex of problems that results in failure of honey bee colonies, has led to heightened awareness of the importance of native bees to our own gardens and to plants across the landscape. You can establish a bee garden to support honey bees and wild native bees. Many plants that are visited by bees are easy to grow, add beauty to the garden, and produce food for people. You probably already have some bee plants in your garden, but you might want to add more. 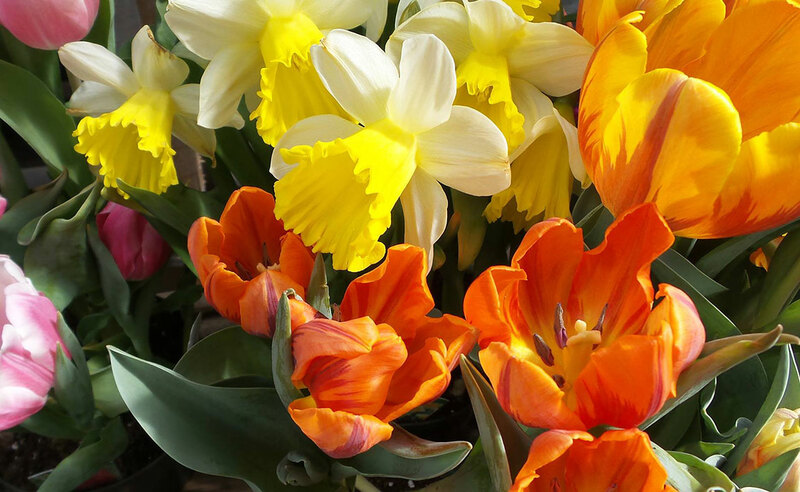 You’ll find many at local garden centers, greenhouses and nurseries. Like other wildlife, bees need three things: food, water, and habitat. An environment free of pesticides will help assure a healthy bee community. Food: The best bee gardens provide bee-visited flowers that offer pollen and nectar in succession from early April to late October. Native plants are preferred but there are many excellent introduced garden plants that are not invasive and help support the bee community by providing pollen and nectar. If you are not sure which plants are invasive, check the resources below. Bees need pollen mixed with nectar to feed their young, and winged adults need nectar to fuel their flight. Leafcutting bees need soft foliage such as young maple leaves to line their nest tunnels. In spring, pollen- and nectar-producing trees include maples, shadbush, apple, cherry, plum, and willow. Spring perennials that support bees are bugloss, pigsqueak, crocus, snowdrops, lungwort, and viola. Woodland wildflowers include trailing arbutus, wintergreen, mountain cranberry, and wild oats. Bumble bees visit lady slipper orchids. Midseason shrubs such as roses, shrubby cinquefoil, and spireas provide forage for bees, as do perennials like milkweed, anise hyssop, poppies, coneflower, and blazing star. Midseason herbs like borage, mint, and oregano attract bees to their flowers, as does the annual French marigold. Sweat bee on Cosmos ‘Sea Shells.’ Photo by Alison C. Dibble. 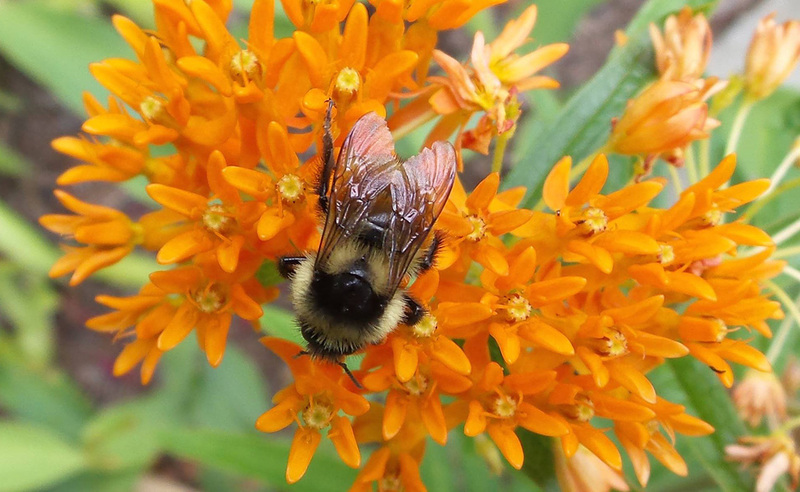 Late season bee plants include an important native shrub, summersweet, and perennials such as asters, goldenrods, bottle gentian, and yellow coneflower. Annual sunflowers, pink cosmos, and butter-and-eggs are also visited by bees. Water: Bees, like all living organisms, need water. If your garden isn’t near a natural pond, you could float a piece of wood in a birdbath to provide a landing platform for bees that visit your garden. Habitat: Avoid using synthetic pesticides in your home garden. Even some preparations thought suitable for organic gardening might be toxic to bees, so read about all products you consider, and follow the label directions carefully if you must use them. Leafcutter bees lay eggs in south-facing bee boxes. A local carpenter might help you develop a clever and unique design for your garden. Photo by Alison C. Dibble. Habitat is important for nesting. Apart from hives for honey bee colonies (not covered here), other bees nest near the sites where they forage for nectar and pollen. Many leafcutting bees and mason bees nest in holes made in trees by wood boring beetles, or in the pith of raspberry, blackberry, elderberry, and other woody plant twigs. For such bees, nest blocks can be mounted about four feet above the ground, facing south (see resources below). Bumble bees may nest in old rodent burrows, or in felled trees. Solitary ground-nesting bees and sand bees dig tunnels in the soil to form nests where they lay their eggs. Plant cover is also important for bee reproduction. Yews, for example, can be important mating areas for many sand bees and sweat bees. So, what would your bee-friendly garden look like? In addition to your existing ornamental and food garden that provides beauty and food for people, there would be numerous flowering plants intended as forage for bees. The garden would be (mostly) pesticide-free. Habitat features could include a water source such as a bird bath or small pond with a chunk of wood floating in it, a nest block for leafcutter bees, a dead tree nearby, an area of mowed lawn that has patches of exposed soil for soil-nesting solitary bees, and a “weedy” margin with cane fruits, elderberry, native asters, and goldenrods, and other native vegetation that can be cut back every few years. Space in every garden is limited. Some garden plants provide color but are not much visited by bees — daylilies are an example based on our casual observations. We initiated a project in 2012 to assess many shrubs, perennial and annual flowers, and herbs for their relative attractiveness to bees. In the first season we found that borage — especially white-flowered borage — was favored by many species of bees. Yellow-flowered French marigold with single flowers attracted more than three times as many bumble bees as a similar French marigold with double flowers. Poppies were visited by honey bees, but not by bumble bees. Mealycup sage was favored by bumble bees, but did not attract orange-banded bumble bees. Milkweed attracted bees of many kinds, while sunflowers attracted mostly bumble bees. We’ll continue this project in 2013 and beyond. If you’d like more information about this project, contact Lois Stack at lois.stack@maine.edu. Give bee gardening a try. 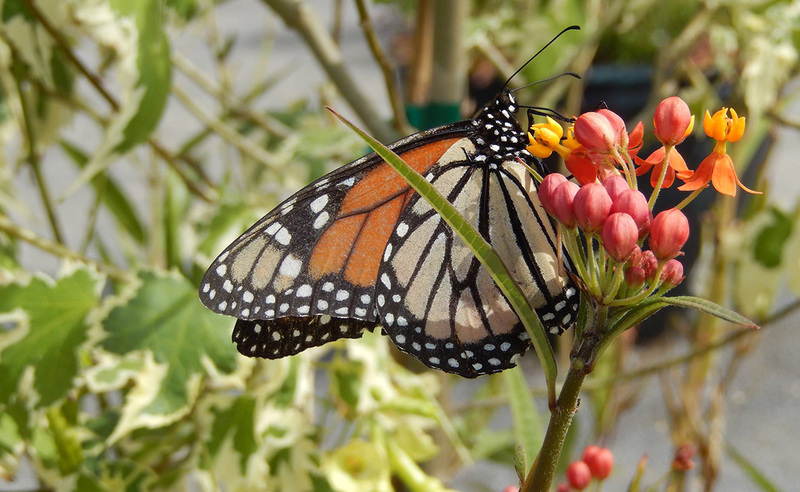 If you provide food, water, and nest habitat for bees, you’ll find that many interesting butterflies, flies, beetles, and other pollinators will come to your garden as well. Then, all you need to further your own enjoyment is — a camera! Learn about Maine invasive plants from UMaine Extension factsheets. 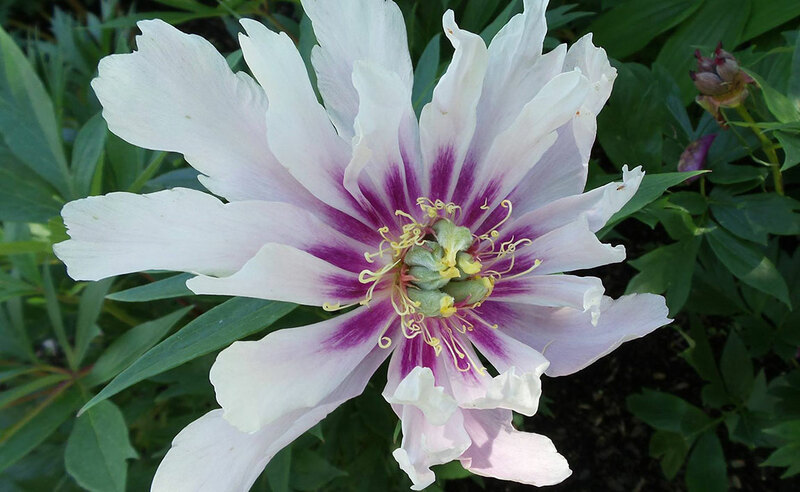 As perennial plants begin springing from the ground all around us this month, we are reminded that not only do we have peonies and irises to look forward to, but also some unwelcome invaders in our landscapes. Japanese knotweed (Fallopia japonica or Polygonum cuspidatum), also known as Mexican bamboo, is a particularly hardy invasive herbaceous plant that has begun emerging from the soil in the past few weeks. 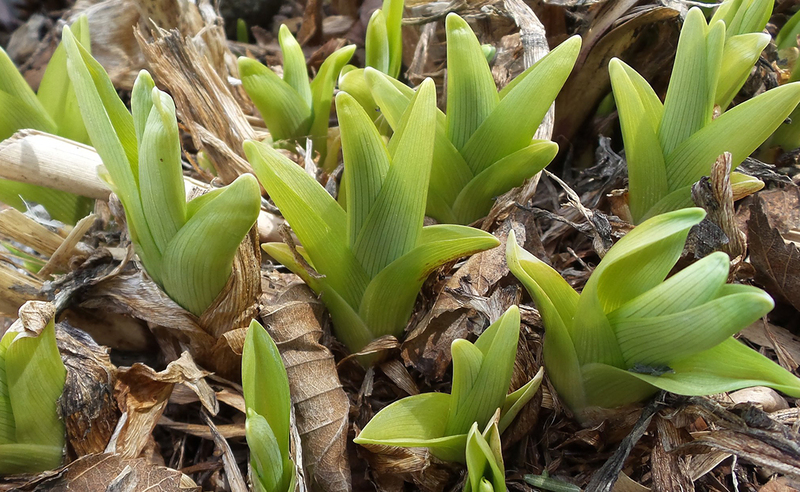 Whether this plant was intentionally brought into your yard, or it made its way there with no help from you, this is a good time to be thinking about management strategies for the coming growing season. Native to eastern Asia, Japanese knotweed is capable of forming a dense thicket very quickly, shading out all other plants. It is usually found in areas where the soil has been disturbed, such as roadsides and near wetlands. The long, oval-shaped leaves and round, hollow stems are a few easy ways to identify this plant. Small greenish white flowers bloom late in August and September, producing dark brown seeds. The primary mode of reproduction, however, is vegetative with new growth emerging from its extensive rhizomes (underground stems). A new plant can be grown from a very small piece of rhizome tissue, making rototilling or digging poor strategies for managing this species. If you are dealing with Japanese knotweed on your property for the first time, it is important to remove it completely before it becomes established. Existing stands can be managed by cutting the telltale round stems multiple times (at least three) over the season, gradually depleting the underground resources. An alternative is to apply glyphosate directly to the freshly cut stems. This systemic herbicide will kill parts of the plant below the ground. Glyphosate can also be applied directly to the leaves of mature plants, but it is most effective when the plant is in bloom. That is typically late summer when the plant is putting down food (carbohydrates in their roots) for the winter. Multiple applications may be necessary. Read and follow all directions when applying a pesticide (including herbicides). Another technique that could be effective when done in early spring or summer when growth is just starting, is to mow and clip off growth then cover with a heavy mulch. A landscape fabric or even old carpet can be placed on the newly cut knotweed plants before mulching to improve effectiveness. 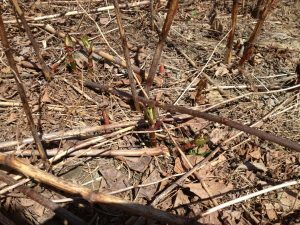 Controlling knotweed is difficult and will take a lot of work. Don’t give up trying to control this invasive species. 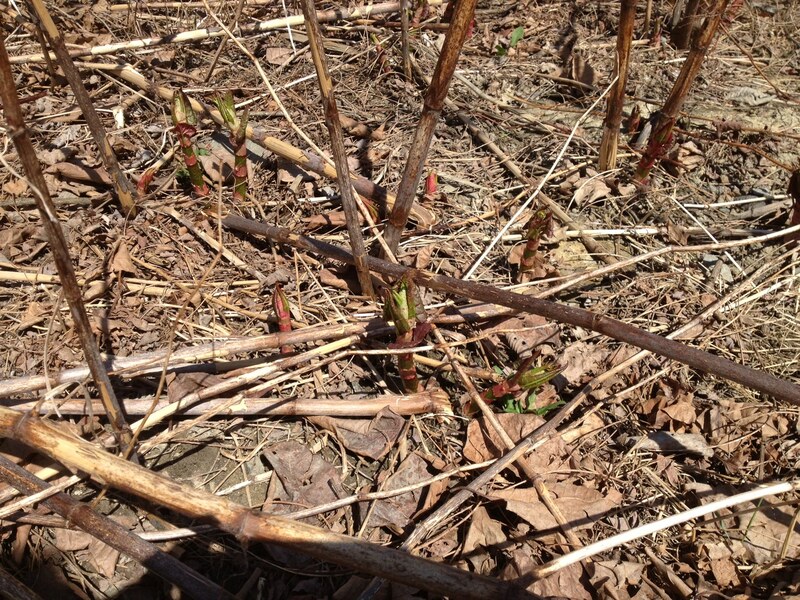 For photos and further information, see UMaine Extension Bulletin #2511, Japanese Knotweed/Mexican Bamboo. Farmers and gardeners have been using compost for hundreds, if not thousands, of years to boost organic matter and nutrients for growing fruits and vegetables. While gardeners of years past might not have known the exact science of WHY certain types and quantities of compost helped achieve better yields, over time they learned to rely on sources of organic waste that were readily available. While today’s gardeners may have more resources available — soil tests, disease and pest resistant varieties of plants, etc. — we are facing new challenges. Whether we are battling squash beetles, dealing with too much (or too little) rain or strategizing how to get a few strawberries before the resident chipmunk family eats them, we gardeners don’t give up. We soil test, and use row covers, fences, and whatever it takes so we can enjoy the fruits of our labor — that fresh off the vine tomato, or a family favorite heirloom squash, or Maine blueberries that have just been plucked from the bush. Today, we are faced with another challenge: several residual herbicides in finished compost that can cause stunted, weak plants and significantly reduced vegetable production. Compost has many benefits, and gardeners are encouraged to use compost to improve soil. The purpose of this article is to help gardeners learn from our own recent experience. While there are many herbicides sold for a wide variety of uses, one that recently has caused problems in communities throughout the country is aminopryalid, trade names: Forefront, Opensight, and Capstone, etc. This herbicide is approved for use in corn, hay, and other grain crops to control broadleaf weeds. The problem occurs when livestock owners feed the treated crops (or forage crops the farmer purchased from other sources) to their animals, and/or use the treated crops for bedding, and then compost the animal manure and bedding even though the herbicide label clearly states that these materials are not to be composted. Aminopryalid and some other auxinic herbicides, clopyralid (trade names: Millenium, Stinger, Hornet, Confront, etc. )(plant growth inhibitors) do not break down in animal waste nor do they break down sufficiently during the composting process. For gardens and farms accidentally tainted with problem compost, it is important to understand how to address the problem. Of course, the best thing you can do is avoid compost with residual herbicides present. Just like everything else you are put into your garden, do your research on compost and hay. If you are obtaining composted manure or hay from a local farm, ask about herbicide practices and food/bedding sources. If you are given a brand name, please check with the Maine Board of Pesticides Control (207.287.7594) to determine if the product contains aminopyralid or one of the other persistent herbicides. If you get a satisfactory answer, you are probably fine. A good practice is to add compost to the garden in the fall. That way, if a small amount of residual herbicide is present, it could break down sufficiently by spring. But you can even take the additional step of testing compost by planting a mix of soil and compost with peas following the methodology suggested by the Washington State Cooperative Extension. Here in Maine, our food pantry community garden that was mistakenly given herbicide tainted compost in 2012 is working to address the problem. After many of our crops, those which are similar to broadleaf weeds (tomatoes, peppers, beans, etc.) failed to thrive and several soil tests were taken, we asked to see the results of the compost test. There, we discovered a single line item in the compost test: “Auxinic Effects” … Moderate to Severe. After much research and conversations with staff at the Maine Board of Pesticides Control, we at least learned that our produce was safe to eat, so we donated it to our food pantry. In 2013 we will plant the garden with an early crop of peas as described in the Washington State article. This test will help us understand how much active herbicide remains in our garden. We will not compost plant material until we are confident the herbicide is gone. And, when future soil test results recommend we add compost, we will do so, but with caution. Our research indicates that the garden soil should be completely back to “normal” within three years. We are encouraged because by early fall, some of our sick looking plants actually started to grow and fruit. String beans started to produce fairly well towards the end of the summer/early fall and other plants which were yellow and stunted, became lusher and green (although it was too late for them to fruit). 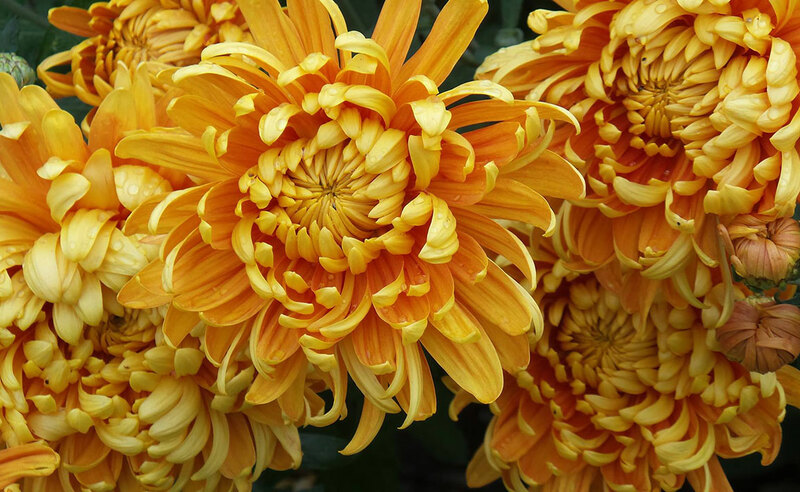 The purpose of this article is to help other gardeners avoid a painful lesson. We spent quite a bit of time and money on research, soil testing, and replanting before we finally discovered the culprit. Community members who joined us as first time gardeners became very frustrated and some gave up for the season. The biggest heartbreak is that our 2012 contribution to our local food pantry was reduced by nearly 75% from the previous year. We are proud to be part of the University of Maine Cooperative Extension’s Harvest for Hunger program, which encourages gardeners to contribute their produce to food pantries, and we are very aware of our neighbors who are struggling to put healthy food on their tables during these difficult economic times. Gardening is a lifelong journey, with something new to learn each year. And much of master gardener volunteering is about sharing experiences and educating others. Despite the frustrations we encountered in our 2012 garden, we are committed to telling our story so others can learn from our travails. In each issue of Maine Home Garden News, we include a Master Garden Project profile. There are over 1500 trained Master Gardener Volunteers in Maine. 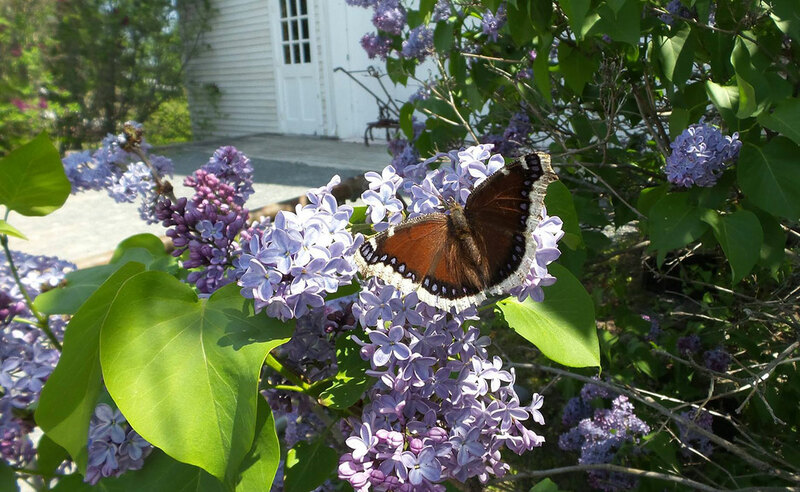 Learn more about the Maine Master Gardener Volunteers Program. Children in the George J. Mitchell School in Waterville will be growing this year in more ways than one. With the volunteerism of retired teacher Kathleen Ribbons, who is working toward her Master Gardener certification, working with school staff, children will experience firsthand … growing flowers and vegetables, and growing through their gardening and learning experience. 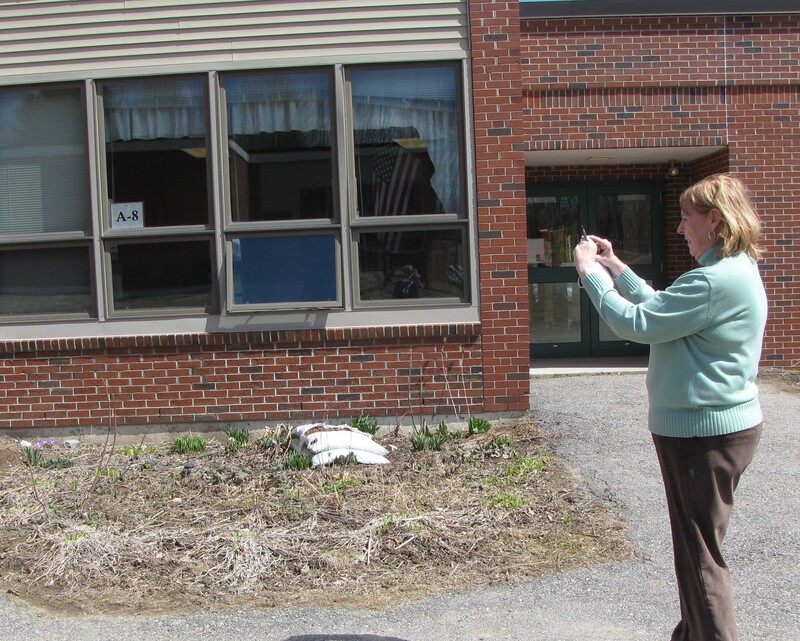 “I can’t stay away,” Ribbons says of her return to the school after 36 years of teaching. With a busy schedule of substituting for former co-workers, she was already visiting the school almost daily, leaving her constantly exposed to overgrown and dying gardens all around the large, multi-winged school for kindergarten through third grade. Beginning 15 years ago, the school was surrounded by colorful gardens started by Ribbons and a group of teachers and volunteer parents. An avid gardener and armed with new training as a Master Gardener Volunteer, Ribbons’ current plans are enthusiastic, and apparently somewhat daunting to some of the current staff. An experienced teacher, Ribbons is building on elements in the current science and social studies curriculum and planning for the new science and social studies element still in the planning stages with Maine’s State Common Core of Learning. Children will have the opportunity to incorporate language arts, math, science, and social studies themes into their garden theme, however the staff may choose. “There’s authentic writing in planning and seeking donations for our program,” she said, pointing out social studies in the choice of plants and their place in history; reading comprehension and application in their understanding of the planning and ultimately the harvest. While most of the gardens will be ornamental, one section will build on history incorporating vegetables and the fall harvest. Using funds through the Master Gardener Development Fund ($350) and gardens she originally helped develop as a teacher, Ribbons will revamp the currently abandoned gardens to be productive again. Children and staff will help reclaim the gardens, dividing the existing perennials left from the previous effort, and transplanting them as needed. 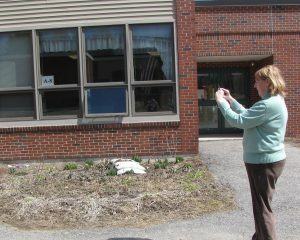 The project begins in earnest in May as the children and staff make the most of the waning days of the school year. Besides clearing the garden spaces, compost will need to be applied, possibly with a lesson in how compost is made and the environmental benefit it carries in recycling and as a resource to the new plants. The younger children will begin with their initial exposure to the garden experience through favorite stories and live examples of plants and planting. In subsequent years, their experience will incorporate more hands-on participation, building on their academic skills, and hopefully, the beginnings of a lifelong enjoyment, understanding of the gardens as well as an ownership of public gardens and appreciation for what they offer. To learn more about Master Gardener Volunteer training, grant programs or how to help your school develop a similar program, contact your local UMaine Extension county office.